Motorola on Friday announced new customization options for its flagship Moto X handset and this includes the College Collection that will offer students the option of getting the handset that comes in their favorite color option. It features a selection of 43 state and college inspired combinations of colors and emblems. The College Collection Moto X option will be costing $399 “or $49 with a new two-year contract, although college students who register with Motorola will be able to purchase an off-contract Moto X handset for just $339. Mean while the students need to grab the offer by registering at Motorola’s web site to avail this discounted offer price. Other than this the company has added nine new back colors and three new accents to the Moto Maker palette giving wide options to the Moto X users to customize it that can be mixed and matched with different emblems. Now, you can express your school spirit too! 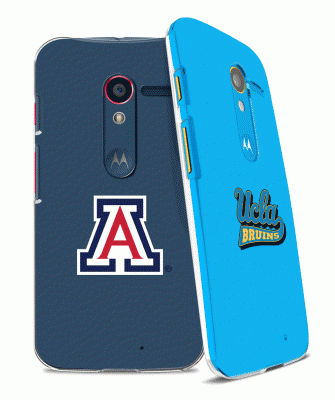 Just in time for the tournament, we’re introducing the College Collection, a range of college-inspired Moto X customization options that allow you to showcase your favorite school colors. We took a look at college colors across the board and added nine new back colors and three new accents to our Moto Maker palette so you can create the ultimate fan phone – Motorola noted in a blog post. For getting this device for the offer price, students need to visit this link here and register. You can get more information and see the entire collection in the link give. Stay tuned for more information and updates.